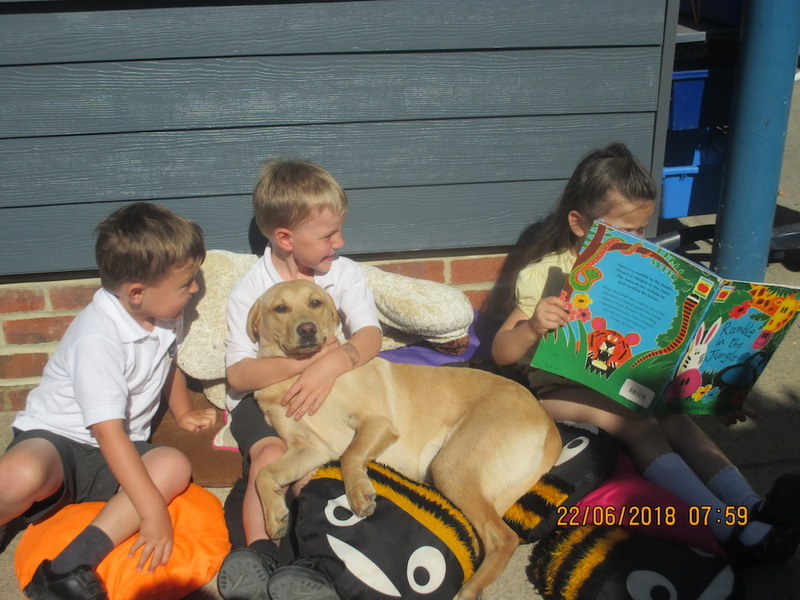 Winnie the Labrador chills with children at Little Horsted Primary School this morning. Winnie the Labrador basked in the attention she received at Little Horsted Primary School this morning. Just like the children she enjoyed hearing stories in the garden and made herself comfortable as she listened. It was Take Your Dog to Work Day and Winnie called in to see nursery and reception children. Mrs Heidi Greenwood, head of early years at the school said: “It was thrilling to see how excited the children were to have Winnie help them with their learning today. 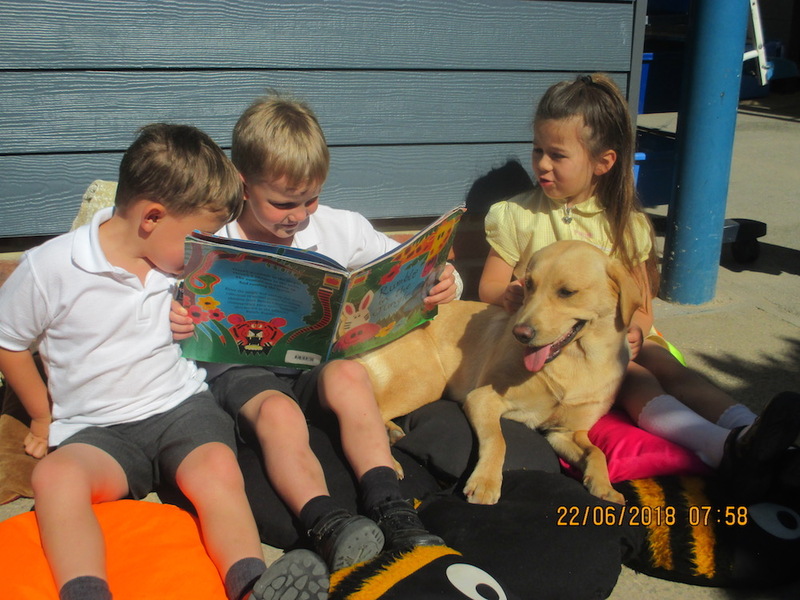 Story-time for Winnie the Labrador at Little Horsted Primary School. Heidi added: “Two of our boys came away from playing football to listen to a story being read by another child, because Winnie was there. “Even our youngest nursery children engaged with giving Winnie commands to eat the crumbs from their snack, and she, of course, happiy obliged.